Industry 4.0 Retrofit in a clay mill. VBASE Automation Story. 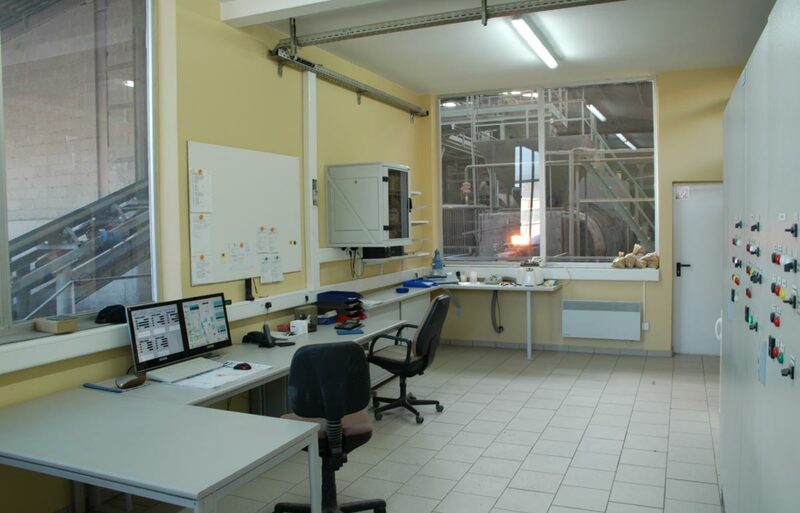 Industry 4.0 Retrofit in clay and fireclay works. Kährlicher Ton- und Schamottewerke (KTS) is a fifth-generation family business that can look back on a tradition of over 150 years. 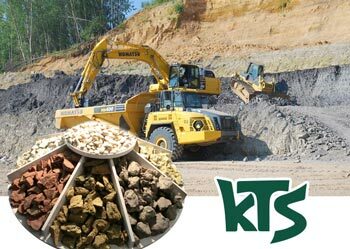 KTS specialises in the mining of tertiary clays and fine-grained concretes. In addition to the pure raw materials, these form the basis for the production of fireclay and numerous ground and mixed products. The clay drying and grinding plant forms the centre of the 120 hectare site. 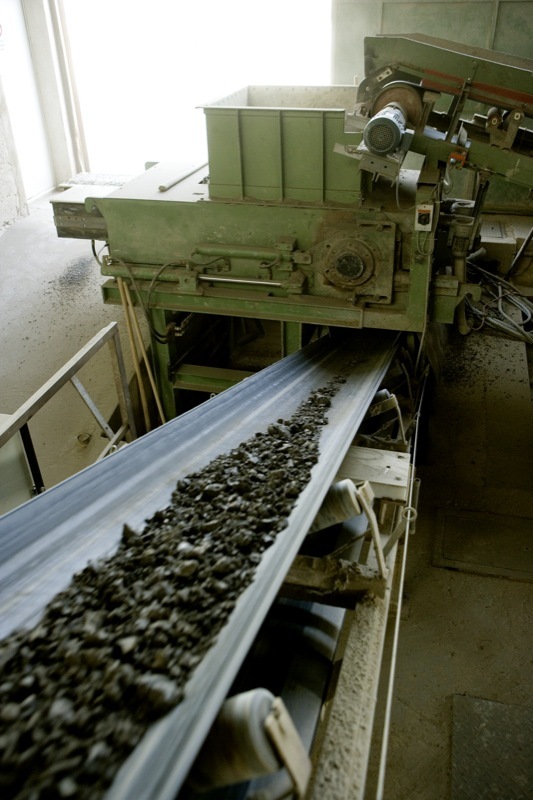 The Kärlicher Lager holds more than 100 million tons of fine-grained, highly plastic special clays, concretes and solutions ready for further use. The clay mill is the core of the Kärlich clay pit. Various materials are shredded, dried and ground in it. 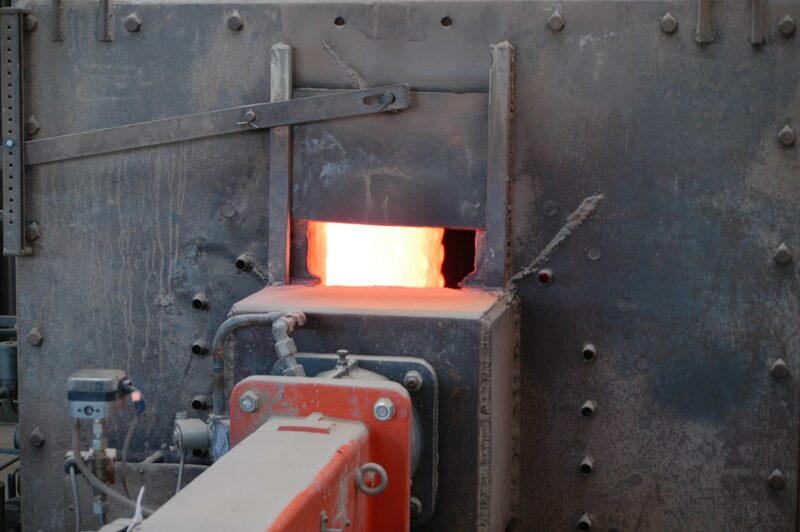 From a box feeder, the material is crushed by a crusher and a carver to such an extent that it can be dried in one of the two rotary furnaces. After the raw material has reached the required degree of drying, it is ground to the desired size in the clay mill and then blown into the silos. The aim of the project was to replace the aging plant control system with a state-of-the-art control system. The production plant itself was already adapted to the current status in the course of previous modernizations. 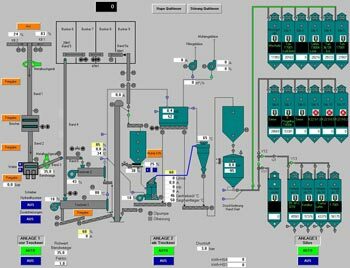 In order to increase plant productivity, a process control system was to be developed which, on the one hand, enables easy operation and, on the other hand, manages the silos and raw material delivery and logs all process data. The aim was to reduce production costs through savings in energy costs and the higher degree of automation of the plant. The quality assurance of the products was also to be ensured through the implementation of the new control system. The plant control and visualization was realized with VBASE HMI/SCADA. The control room was equipped with an industrial computer and two monitors for operating the production plant. 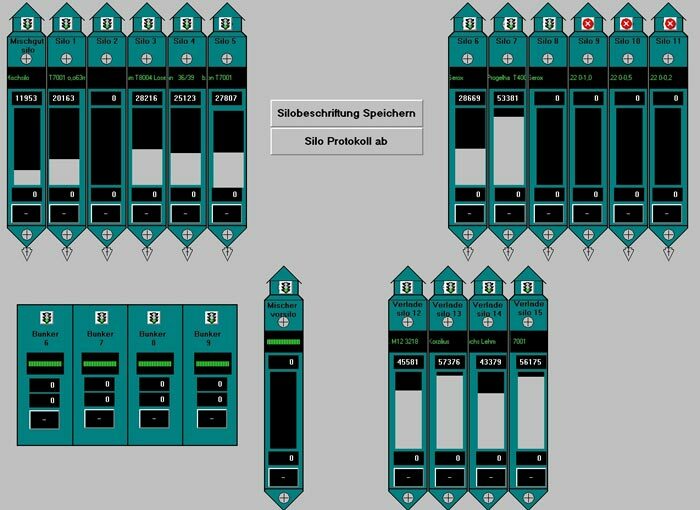 Due to the dual-screen solution, the visualization was designed on two screens and always shows the complete system overview on the first screen, while the second screen provides the operating level. The HTML interface provided by VBASE also enables remote monitoring of the complete system via the company's internal network or the Internet. When production starts, the operator selects a product from the product list and enters the order number. After input, the basic parameters for the selected product are loaded automatically. Subsequently, the plant operator has the possibility to change individual values from the basic parameters of the current production. The parameters are then sent to the plant and production is started. For an exact cost determination all consumption data of the plant are logged. 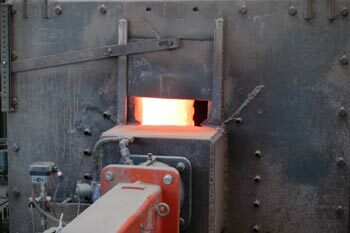 During the production process, the operator continuously takes moisture samples of the material. These are automatically assigned to the product by VBASE and stored in the log for quality control and subsequent evaluation of production. 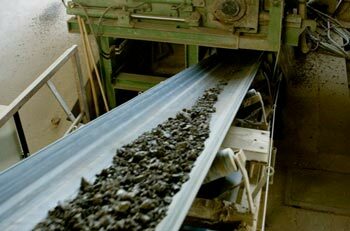 The raw material input is also added to the log and a distinction is made between foreign material and own mine material. After completion of production, an overall log of the current production is created, which contains all production-relevant consumption data. In addition to the individual operating hours and consumption counters, the employee hours are also displayed. With the help of the automatic silo management it is now possible to check the current stock level at any time and to track material mixtures thanks to the continuous and exact logging. By recording a wide variety of data for cost recording and quality assurance, constant product quality is achieved and production costs can be calculated as accurately as possible.